We can help you find the perfect Oakville Neighbourhood. 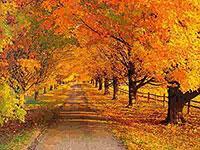 Oakville is an exciting town surrounded by nature located in Southern Ontario on the shores of Lake Ontario. Fabulous array of residential homes, historical homes, architecturally significant homes, victorian brownstones, lofts, luxury waterfront condos, trendy live/work condos, marina condos, cape cod style homes, hi-rise condos, townhomes, luxury waterfront estates, custom built Oakville Luxury Lakefront Real Estate and Lakefront properties. The Old Oakville community contains Oakville's only hospital, Oakville Trafalgar Memorial Hospital (O.T.M.H. ), located between Reynolds Street and Allan Street. 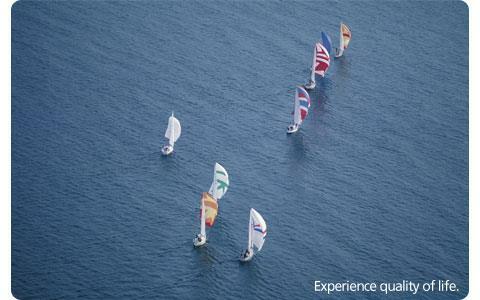 Enjoy World class dinning, theaters, shopping, Spas and Oakville Marina & Oakville Harbour. 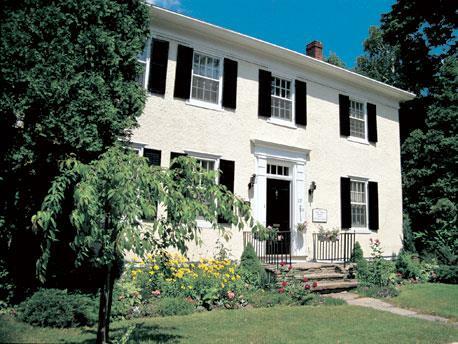 Town of Oakville promotes the preservation of its historically significant older neighbourhoods with its many historic buildings and Heritage Homes. Local Neighbourhood features St. Mildred’s Lightbourn School, private girls’ day school, Oakville Trafalgar High School, Gairlock Gallery and Gardens, Whole Foods Natural Market, Starbucks, Maple Grove Village, QEW access from Trafalgar Rd and Ford Dr, Go Train service at Cross. The Old Oakville Community extends from Lake Ontario in the south to the Queen Elizabeth Way in the North; from Morden Road in the west to Morrison Creek in the east. Morrison is one of Oakville's Most sought after neighbourhoods. Home to some of Oakville's largest treed private lots, the Morrrison neighbourhood also boasts many of Oakville's Custom Renovated Homes. Typical Lots range from 80'-120' by 150'-250' , in fact half acre lots and larger are quite common. Of course these Beautiful Treed Lts are in Great demand and tend to sell very quickly with multiple offers. Pricing of property typically begins at $800,000 for a lot that would require a New Build or A Renovation to $3,000,000 for a Custom Luxury Home with all the latestest finishes. Due to such High demand it is important to work with Realtors that are familiar with the area and are knowledgable about Oakville Property Values. 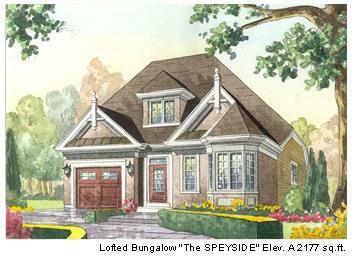 An exclusive enclave of Luxury Homes surrounded by the fabulous mature environment of South East Oakville. High Demand for South Oakville Homes. House Values range from $800,000 to $25,000,000 for Oakville Luxury Real Estate and Oakville Custom Lakefront Estates. Local neighbourhood features quaint Downtown with World Class Shopping, Restaurants, Theater, Spas, Oakville Marina, Oakville Country Club, Art Galleries and Antique Shops. Walk Oakville's Whole Foods, Starbucks, Shoppers Drug Mart, and Oakville HSBC Bank. Due to such High Demand for this Oakville Neighbourhood it is important to work with Realtors such as the Mary Sturino Team that are familiar with the area and are knowledgable about Oakville Property Values. An Exclusive Enclave of Luxury Custom Homes. Private Treed Lots with Ravines. Oakville Ravine Homes are quiet common especially in Joshua Creek Neighbourhood. Located within walking distance to Joshua Creek Public School, Walking Trails, Parks and Shops. Joshua Creek is a Great Family Community. Homes range from $450,000 for executive townhomes to $1,500,000 for 5000 sqft Luxury Custom Home with Walkout basement on Ravine. Great Schools, Parks, Trails and amenities. Upper Oakville Shopping Centre, Iroquois Ridge Community Centre, Iroquois Ridge High School, Upper Joshua’s Creek, PGA Golf Centre, Upper Oakville Commercial Centre. Quick easy QEW, 403, 407 access and Go Train. Oakville's brand new signature community, Bronte Creek Homes are inspired by the natural beauty of the Town of Oakville and Bronte Creek Provincial Park. This upscale community boasts a variety of detached homes on 36, 46 and 56 foot lots, and townhomes, all set within the rolling hills and mature trees of the surrounding area of Bronte Creek Provincial Park. Homes ranging from custom built Legend Creek Lofted Bungalows to executive upscale townhomes. Featuring stone and stucco luxury singles, their Gallery Collection Homes are inspired by olde world estate homes. Bronte Creek Fernbrook Homes offer an exclusive cul-de-sac of beautiful estate homes bordering the conservation lands of the Bronte Creek Provincial Park and Bronte Creek tributary. This rare and enchanting setting has been incorporated into the design of each and every home, creating a streetscape and neighbourhood in harmony with the nature that surrounds. With the finest architectural details and luxury appointments, Fernbrook's gorgeous French Chateau and Georgian inspired designs are as special as the privileged families who choose to call them homes. Located north of Upper Middle Road and west of Bronte Road. Popular Neighbourhood for Trendy Young Professionals and Young Families. Great First Time Buyer Homes Avaiable. Homes Values in Oak Park Range from $250,000 to $475,000. Home to New Condos, Contact us Today to Find out about Pre Release Prices, Builders Soon to Release New Condo Units from $165,000. Be the First to Get on the The Best Deals, Contact Mary Sturino Home Selling Team 905.302.0170. New Oakville Condos, New Oakville Oak Park Condos, Oakville Designer Condos, Oakville Trendy Condos, Oakville Chic Condos. Trendy Award winning Urban Village with Environment in Mind. OakPark is an award-winning 200-acre (80 hectares) community (Urban Design and Architectural Design Awards) in north Oakville offering innovative housing designed along the principles of "new urbanism" . Originally part of a larger 400-acre (160 hectares) development, OakPark is designated to become the new town centre of all of north Oakville . Upon completion, the community is planned to include a 27-acre (11 hectares) park and lake, 1 million square feet (93,000 square meters) of retail development, over 3 million square feet (280,000 square meters) of office development and housing for 10,000 residents. The park, which was the subject of an international design competition, is already a centre for summer and winter activities, including impromptu hockey games and figure skating on the man-made lake. North Oakville's concept of a new Uptown Business Core for Oakville, into a unique, mixed-use community. Inspired by Old Oakville, the community’s plan seeks a strong sense of place in its fine-grained network of radial streets and generous open space system. Provision is made for the reality of the car, but the range of uses and scale of buildings are designed to encourage walking and cycling. Variety of homes in this north Oakville Community, ranging from detached dwellings to townhomes, condos, apartments. River Oaks community is located in a great family oriented neighbourhood with great facilities, schools and amenities. 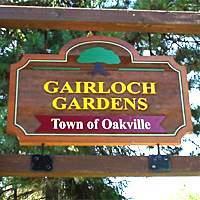 Lots are mature and private with Large Trees, many backing onto Oakville Ravines and Oakville Walking Trail System. The River Oaks Community has a variety of amenities located within its boundaries. The River Oaks Community is bounded by Dundas Street on the north; the Sixteen Mile Creek on the west; Upper Middle Road on the south; and Trafalgar Road and the Uptown Business Core on the east. West Oak Trails is one of Oakville Most Poprular Neighbourhoods. Conveniently located close to everything you could imagine. Home to Oakville's Best Public School Captain R. Wilson. This neighbourhood is a favourite of young families on the go. This Neighbourhood of newer homes offers Glen Abbey Golf Course, Bronte Creek Provincial Park, Arborview Woods and Trail, great new schools, splashpads, soccer fields, baseball fields, tennis courts, and children playcenters, Arena, Recreational Center, Public Library and Swimming Pool. Walk to Starbucks, Shoppers Drug Mart, Price Choppers, Thai Restaurant, Video Store etc. Quick QEW and Go Train access, Sixteen Mile Creek Trail, other local trails and parks, Glen Abbey Golf Course, Lions Valley Park. West Oak Trails Community is bounded by Upper Middle Road on the south, Dundas Street on the north, Regional Road 25 on the west, and Sixteen Mile Creek on the east. Includes Fairway Hills Community of luxury detached homes and new executive townhome enclaves backing onto Glen Abbey Golf Course. This community has a unique pattern of Greenopen space that consists of a network of parks, ravine lands, woodlots, and schools that interconnect from one neighbourhood to the next. Many Glen Abbey Homes Back onto Ravine and Forested Walking Paths. Very Popular Neighbourhood. Homes range from $350,000 to $1,300,000. Walk to Shops, Schools, Glen Abbey Recreational Center, Church, And Bakery. The Glen Abbey Community by the Burlington-Oakville boarder on the west, Upper Middle Road on the north, the Sixteen Mile Creek on the east, and the Queen Elizabeth Way on the south. 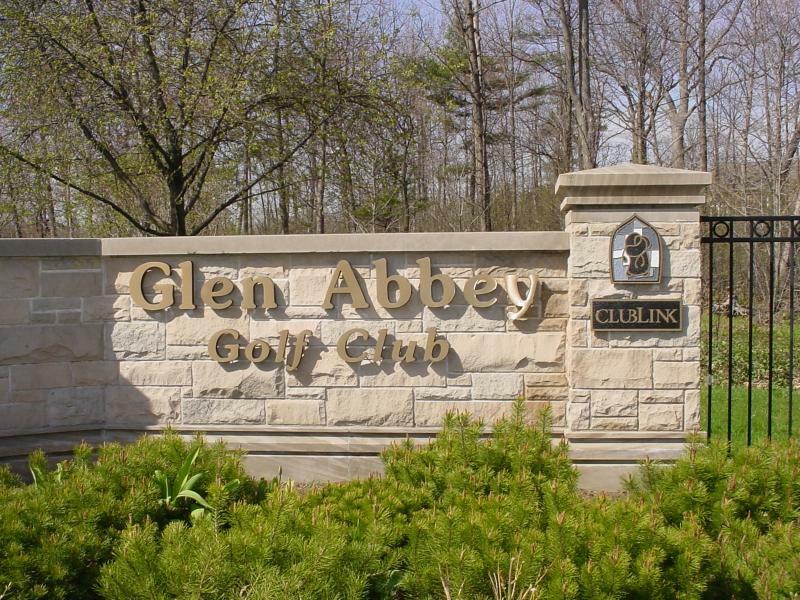 Glen Abbey has great Access to QEW, 403, 407 and Go Train- Cross GO station and Bronte Go station, it's a quick 30 minute commute to Downtown Toronto Financial District. Bronte is a popular tourist destination, which incorporates the history of Bronte Village and the waterfront activities of Bronte Harbour. Enjoy all that Bronte Harbour Village has to offer, Bronte Heritage Waterfront Park and Marina facilities, Bronte Village Mall and quaint shops, waterfront trails, various small parks, QEW access from Bronte Rd and Third Line, GO Train service from the Bronte station. Mature Treed Lots, Homes range from $250,000 to $2,000,000. Oakville Waterfront Condos, Semi Detached Homes, Two Storey Detached Homes. 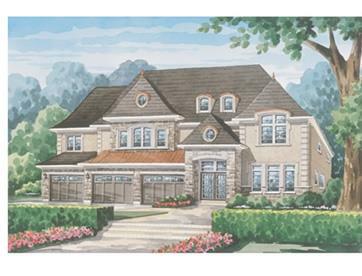 Oakville’s most western residential community, within in walking distance to Lake Ontario. Featuring Samuel Curtis Estates, the new development at Lakeshore Woods, the established residences off Mississauga St and an attractive collection of enclaves south of Lakeshore Rd. Local Area features include Shell Park, West Bronte Creek parks and water front trails, Bronte Village Mall, Bronte Harbor, QEW access from Bronte Rd and Go Train services from Bronte Station. Fabulous New Waterfront Community in South Oakville. Luxurious New Homes in Great New Family Community. Homes range from $550,000- $980,00. Many Homes back onto Mature Forested Ravines and Parks and Some Homes have Lake Views. Quiet residential area, mature trees, meandering streets with detached homes on large lots. Local Area features include Hopedale Mall, T.A Blakelock High School, Coronation Park recreation centre and waterfront parks, five other area parks, QEW access from Third Line, Go Train. Oakville Home Values Range from $450,000 to $900,000. Established area of South Oakville undergoing pockets of revitalization, detached homes, Kerr St Bohemian neighbourhoods with eclectic shops restaurants, cafes and antique shops. Single family residential, apartments, luxury town homes and condo hi-rises. Local neighbourhood features, Great Restaurants and shops, St Thomas Aquinas High School, smaller parks, Kerr St commercial services, YMCA, access to QEW from Dorval Dr, Go Train service from Cross Ave. Tremendous variety of residential options, apartments, starter homes, hi-rise condos, town homes, luxury detached residences, lake front estates. Local Area features world class downtown shopping, restaurants and cultural centre, parks and marina services, 16 Mile Creek recreation facilities, Oakville Trafalgar Hospital, Erchless Estate, waterfront trails, access to QEW from Trafalgar Rd, Go Train service off Cross Ave at Trafalgar Rd. Eastern most enclave of residences in Oakville offering mainly 2 storey family houses serviced by efficient system of arterial roads in community also known as Clearview. Quick Easy Commute to Toronto Finanacial Distirct. Local area features Kingsford Gardens, Wynten Park, Jonathan Park, Clearview Park and Woods, Kingsway Park, access to QEW from Ford Drive or Winston Churchill Blvd. Clarkson GO Train Station access. Popular area with Mature Lots and Large Treed lots. Most Homes have been renovated and have wonderful backyard oasis Backyards. It is conveniently located close to Hwy and GO Transit, 30 mins to Toronto Financial District, a favourite Neighbourhood for Commuters. Maple Grove Dr North off Lake Ontario to Cornwall Rd, East to Winston Churchill Blvd, South to Lake Ontario. Sixteen Mile Creek to Upper Middle Road, East to Trafalgar Road, South to QEW. A mature area of central North Oakville offering a mixture of residential options from detached residences on quiet courts to townhomes, apartments and condos. Area highlights include Oakville Pleace Mall, Oakville Golf Club, Sheridan College, Oakdale Park, White Oaks High School, QEW access from Trafalgar Road, Go train service at Cross Avenue. A quiet well established neighbourhood with mature trees in North Oakville. A variety of homes from detached homes, townhomes and condos. Neighbourhood offers Oakville Place Mall, Upper Oakville Shopping Centre, Sheridan College, Iroquois Shoreline Woods Park, Sheridan Valley Park, Morrison Valley Creek, numerous smaller parks, raised topography, PGA golf centre.